Dr Pepper Dallas Cup XXXIV announce Coritiba FC and Fluminense FC U19's to the 2013 Gordon Jago Super Group | Dallas Cup, Inc.
DALLAS, Texas - An unmistakable joy of Dallas Cup year in and year out is the flair that Brazilians bring to the tournament, having won seven of the last 12 Gordon Jago Super Group championships. Dr Pepper Dallas Cup is pleased to announce the addition of two Brazilian clubs Coritiba FC and Fluminense FC to the U19 Gordon Jago Super Group at Dallas Cup XXXIV. Coritiba returns to Dr Pepper Dallas Cup as the defending Super Group champions having defeated Manchester United in a thrilling final after a Cinderella run to the championship game. Three-time Brasileiro champions Fluminense FC have a rich history of success. Based in Rio de Janeiro, they boast a fan base in the millions with their senior squad currently sitting atop the Brazilian 2012 first division standings. 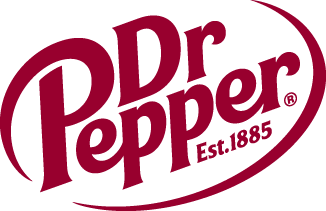 If interested in sponsorship opportunities with “Dr Pepper Dallas Cup XXXIV” or the “Dallas Is Diversity Program” please contact Frances Ortiz-Solares at the Dallas Cup office via phone at 214.221.3636 or via email frances@dallascup.com).